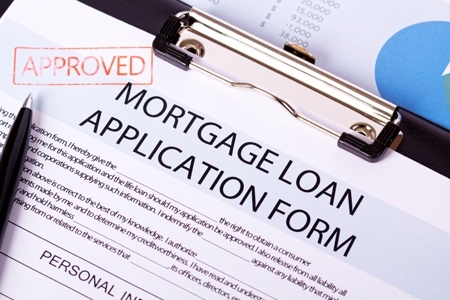 Mortgage applications increased 9.5 percent from one week earlier, according to data from the Mortgage Bankers Association’s (MBA) Weekly Mortgage Applications Survey for the week ending March 20, 2015. The Market Composite Index, a measure of mortgage loan application volume, increased 9.5 percent on a seasonally adjusted basis from one week earlier. On an unadjusted basis, the Index increased 9 percent compared with the previous week. The Refinance Index increased 12 percent from the previous week. The seasonally adjusted Purchase Index increased 5 percent from one week earlier to its highest level since January 2015. The unadjusted Purchase Index increased 5 percent compared with the previous week and was 3 percent higher than the same week one year ago. The refinance share of mortgage activity increased to 61 percent of total applications from 59 percent the previous week. The adjustable-rate mortgage (ARM) share of activity increased to 5.8 percent of total applications. The FHA share of total applications decreased to 13.3 percent this week from 14.3 percent last week. The VA share of total applications decreased to 10.1 percent this week from 10.3 percent last week. The USDA share of total applications decreased to 0.8 percent this week from 0.9 percent last week. The average contract interest rate for 30-year fixed-rate mortgages with conforming loan balances ($417,000 or less) decreased to 3.90 percent, its lowest level since February 2015, from 3.99 percent, with points decreasing to 0.37 from 0.40 (including the origination fee) for 80 percent loan-to-value ratio (LTV) loans. The effective rate decreased from last week. The average contract interest rate for 30-year fixed-rate mortgages with jumbo loan balances (greater than $417,000) decreased to 3.89 percent, its lowest level since January 2015, from 3.94 percent, with points decreasing to 0.25 from 0.33 (including the origination fee) for 80 percent LTV loans. The effective rate decreased from last week. The average contract interest rate for 30-year fixed-rate mortgages backed by the FHA decreased to 3.71 percent, its lowest level since January 2015, from 3.74 percent, with points increasing to 0.21 from 0.12 (including the origination fee) for 80 percent LTV loans. The effective rate remained unchanged from last week. The average contract interest rate for 15-year fixed-rate mortgages decreased to 3.22 percent, its lowest level since February 2015, from 3.28 percent, with points decreasing to 0.28 from 0.34 (including the origination fee) for 80 percent LTV loans. The effective rate decreased from last week. The average contract interest rate for 5/1 ARMs decreased to 2.97 percent, its lowest level since January 2015, from 2.99 percent, with points decreasing to 0.38 from 0.43 (including the origination fee) for 80 percent LTV loans. The effective rate decreased from last week.